Full Circle Addiction & Recovery Services specializes in substance abuse intervention, rehabilitation & sober living. We are dedicated to changing the industry standard for treatment, client-care and success. By providing a Full Circle continuum of care and support, we are passionate about inspiring individuals into a life of longterm recovery. Full Circle was founded by Kristina Wandzilak with the mission of completing a full circle of care. Full Circle Intervention founded in 1995 has grown into a international intervention practice and expanding into Full Circle Addiction & Recovery Services. Kristina is the author of the critically acclaimed addiction memoir The Lost Years surviving a mother and daughters worst nightmare. Her work on TLCs ground breaking show Addicted went on to win the prestigious Prism award for the most accurate depiction of drug addiction. Her latest project was the television docu-series Codependent, which premiered on Lifetime and A and E. The riveting reality show documents Kristina's intervention work with addicted couples. The 6 episode series premiered as one of the most highly rated original shows on the Lifetime network. 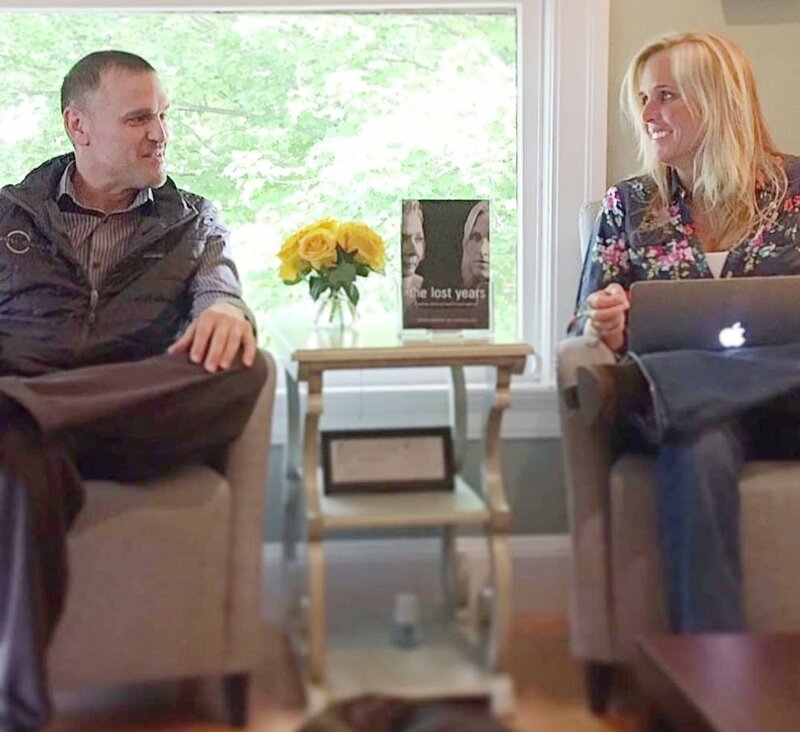 Kristina Wandzilak is credited with helping thousands of addicts and their families through her work as an international interventionist, author and television expert. At Full Circle we motivate the addicted person toward the appropriate treatment through firm and compassionate coaching and work to launch the whole family into a process of change by intervention. Focused on the intricate, complicated and challenging issues of early sobriety, the program provides extensive recovery care while maintaining or building their active lives. It is in the first 12 months, as the individual is trying desperately to acclimate to their new lives and change thought processes and behaviors, that relapse is most common. Full Circle Sober Living is a warm and inviting home for men and women who have successfully completed residential addictions treatment, or have had some experience in recovery, and are working toward full integration into their busy lives. Kristina Wandzilak & Ole-Jan Hafstad are passionate and dedicated to providing compassionate effective treatment and care to all of our clients and guests. Kristina Wandzilak, CAS, CIP, is a nationally recognized and respected interventionist, addiction expert, author, docu-serisis host and media consultant. Located in the San Francisco Bay Area, Full Circle Addiction & Recovery Services specializes in alcohol & drug intervention, substance abuse rehab, premier sober living homes, relapse prevention services, and alcohol & drug individual and group therapy. Full Circle Intervention is highly respected for their respectful and professional approach, providing effective intervention for families and their loved ones. FCI has excellent relationships with drug and alcohol rehabilitation centers internationally which allows for clinically driven treatment placement, setting the course for long term success. Full Circle’s outpatient Relapse Prevention Programs are individualized monthly services for men and women seeking outpatient drug & alcohol addiction treatment after completing primary care in a recovery center. Our outpatient rehabilitation services provide individuals recovering from chemical dependency with the tools, knowledge, and support to succeed in long-term sobriety. Relapse prevention services include private therapy sessions, therapeutic groups and drug testing services. We are committed to assisting each client through the roadblocks of early recovery and will help build a solid foundation upon which each person can achieve his/her goals. Full Circle Sober Living Communities are highly structured beautiful, inviting homes for men and women in Marin County recovering from addiction and mental health disorders. Located in three of the most premier neighborhoods in the Bay Area, the Full Circle sober living homes provide healing environments that cultivate and atmosphere of family and community. Full Circle is committed to guiding our clients into long term sobriety by creating supportive homes with the goal of restoring healthy, balanced living and reclaiming a productive place in society. The first 12 months of sobriety are the most challenging for the newly sober individual. The reentry into their daily lives after the structured care of treatment centers can be overwhelming and create tremendous anxiety. It is during this time, as the individual is trying desperately to acclimate to their new lives and change thought processes and behaviors, that relapse is most common. The full circle team understand the challenges our clients face, and want to help bring them “Full Circle” to the persons they were before active addiction. The newly sober individual is in a unique transitional space and typically needs specialized assistance to face both the past and the future. Our goal is to not just help our clients live sober, but to help them live fully.